Talib Kweli first entered the national spotlight in 1998 when he and Mos Def released their debut album, Mos Def & Talib Kweli are Black Star. Since then, Kweli has released a series of highly-acclaimed solo albums. His latest, INDIE 500, is a collaboration with producer 9th Wonder. INDIE 500 features an all-star supporting cast, including Problem, Slug (of Atmosphere), Rapsody, Pharaoh Monch, Brother Ali, Hi-Tek, NIKO IS and more. 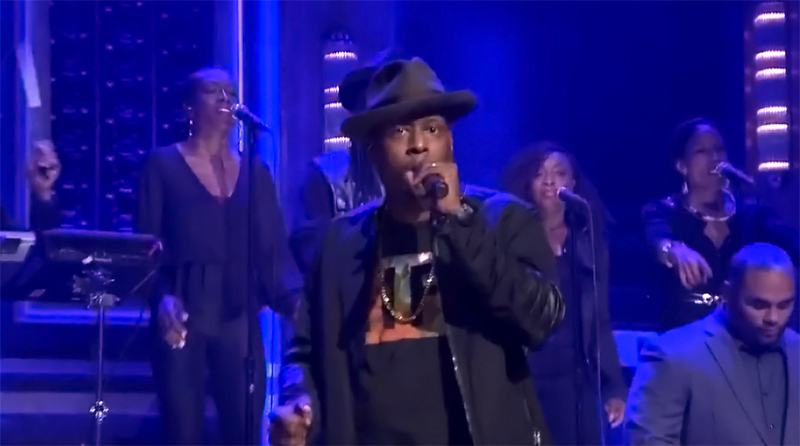 In this video from Late Night Starring Jimmy Fallon, Kweli performs a new song from INDIE 500 – “Every Ghetto” – with help from Rapsody and The Roots.